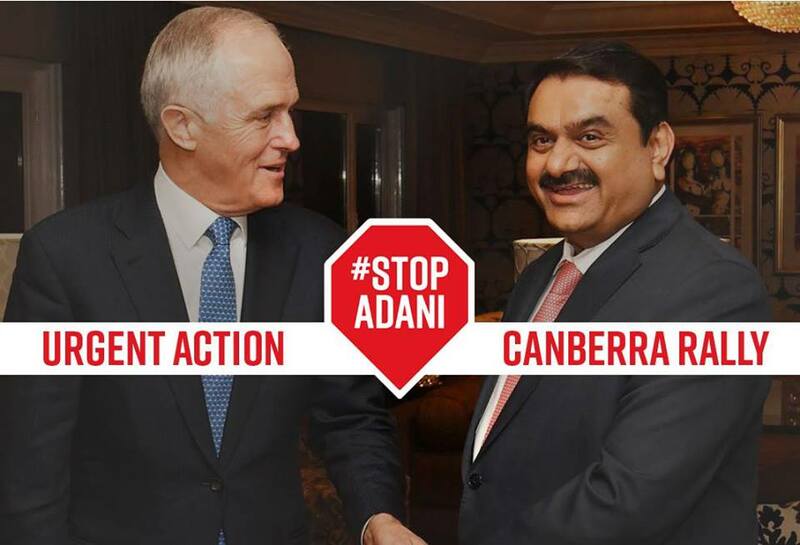 Malcolm Turnbull is in India telling Indian Prime Minister Narendra Modi and Gautam Adani that he supports Adani’s mega coal mine. Join us at the Indian High Commission in Canberra. We will send a clear message that the Australian community does not want this mine to go ahead, and we certainly don’t want taxpayers to foot the bill for $1 billion towards the project.